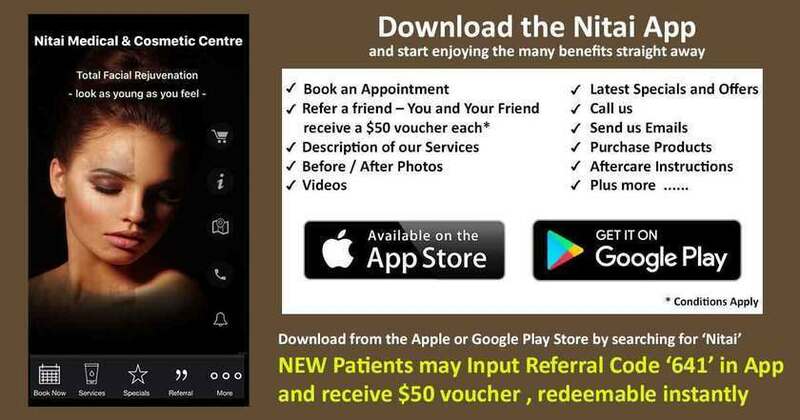 Welcome to Nitai Medical & Cosmetic Centre that offers effective skin peel solutions in Melbourne for brightening and rejuvenating dull lifeless skin and repairing damaged and uneven skin. Skin peels are effective procedures for addressing skin issues ranging from dull and rough lifeless skin to aging, sun damage, congestion, hyperpigmentation and even oily acne-prone conditions. When skin peels are used alongside a prescribed homecare regimen, peels could be really fruitful when used as an effective course of treatments. Chemical skin peels are an effective method of resurfacing the skin and promoting regeneration of the skin cells. The peel would be effectively shedding the skin’s top layers for enhancing the skin’s overall appearance, stimulating production of essential ingredients for cell growth and boosting pigmentation, acne, sun damage, fine lines, redness, Rosacea and even wrinkles. Skin peels function in diverse ways for stimulating cell renewal, refining, rejuvenating and hydrating the skin. Skin peels inMelbourne are an effective method of resurfacing and regenerating the skin simply by making a controlled wound on the skin. The process involves removal of the top skin layers and improving sun-damaged skin, wrinkles, skin pigmentation issues, skin texture and of course, the overall look. The strength of your skin peel would actually be determining its depth. Deeper skin peels could involve complications and relatively longer recovery time but would be resulting in greater skin enhancement. Skin peels are very effective in regenerating and resurfacing damaged skin making it look more youthful, smooth and radiant. Skin peels treatment inMelbourne could be used in conjunction with procedures such as Skin Needling, Microdermabrasion, Laser Skin Therapy and Photo Rejuvenation for providing speedy and drastic results. Our experienced and fully-qualified doctors would be reviewing your clinical history. They would be evaluating your skin type, as well as, pigmentation for determining if skin peelsare right for you and if yes, they would discuss which one would be most suitable for your skin type. Remember to disclose your expectations and the level of skin enhancement you are hoping from this treatment. You could discuss the various options available to you and come to a mutual understanding with your doctor regarding the most suitable skin peel treatment for you. If you are thinking of getting skin peels contact us at Nitai Medical & Cosmetic Centre, the best skin peels clinic in Melbourne. What Are the Skin Conditions That Could Be Alleviated by Skin Peel? Lactic, Salicylic, Pyruvic, and Glycolic acid peels could be assisting you in the management of blackheads, acne, blocked pores, skin aging, skin texture and even pigmentation changes. These treatments could be pretty effective if you include them in your everyday skincare routine and they have minimal downtime. Doctors usually would be recommending a series of skin peel treatments for fantastic enhancements. Skin peels are known to offer maximum benefits when done on a regular basis. At Nitai Medical & Cosmetic Centre we offer the best skin peel treatments inMelbourneand deliberately make sure that the prices are affordable so that you could easily avail them as and when required. There are many kinds of skin peels that are meant for different skin types and concerns. Chemical skin peels vary in strength. They are categorized as deep, medium and superficial according to their capacity to reach and impact the skin’s level. If you are frustrated with spots on your skin, or if you are fed up with your excessively oily skin that has clogged pores, you could consider using the Amazonian Detox Peel that is supposed to be the ideal skin peel to achieve a healthy and youthful looking skin which is radiant, pure and clear. This peel fully capitalizes on the fabulous skin renewal and skin fortifying action of hydroxy acids that work for deep cleansing and eliminating accumulated purities and stale oils from the follicles. Nitai Medical &Cosmetic Treatment has patented a magical blend of three medically proven super-purifying rainforest plants that would be working deeply for detoxification and would take proper care of congested, acne skin issues, excessively oily skin concerns. Lactic acid derived skin peels would be ensuring exceptional outcomes each and every time. These skin peels are not only unique, they are also powerful, as well as, gentle. It is, therefore, most suitable for sensitive skin. This is a unique and super-effective in-clinic skin peel treatment in Melbourne used for speedily and effectively eliminating the appearance of hormonal marks, brown spots and such other skin discoloration issues. This type of skin peel could be very useful in restoring clarity and radiance to your skin. This is a magical mix of skin renewal, as well as, clarifying action ofbeta hydroxyl acids (clinical strength) for lifting away of the layers of discoloured and dull skin cells. Your skin would be benefitted by the exceptional skin brightening and polishing actions ofTyro stat and Vitamin C, and also, a versatile plant-based compound. This sort of skin peel treatment is best for taking care of a broad variety of skin issues. Wrinkles, fine lines, minor discoloration, muddy complexions, and visible pores are compelled to surrender to this fantastic rehab program meant for, particularly, time damaged skin. This skin peel comprises bio-active Retinol with Niacinamide, Lactic Acid and also a botanical anti-inflammatory, which would be functioning for delivering the most spectacular anti-ageing, as well as, skin refining outcomes in record time. Treat your skin gently as it would be slightly tender. Avoid scrubbing, picking or peeling the skin as these could culminate in undesirable complications. Do not use acne cleaners and scrubs unless recommended by the doctor. Keep your skin nicely protected by the regular use of a Sunscreen with SPF 30 +.